I love soup, especially when there’s a chill in the air. There’s nothing quite like coming inside to the smell of something simmering on the stove after you’ve been outside doing yard work or watching your favorite team play. I usually strive to eat healthily, updating recipes to trim the fat and calories and skipping dessert. But there are times when I’m in the mood for something a bit more old-fashioned, food that “puts meat on the bones.” The latter type is particularly delicious straight from a thermos at a fall tailgate or hike. 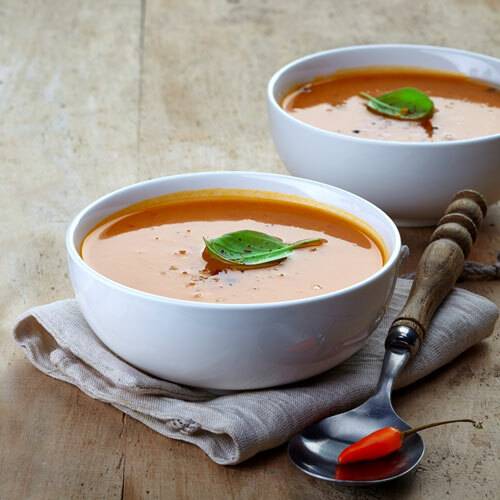 The fall soup recipes below come two ways, hearty and healthy. You can choose which one you want, depending on how you’re feeling at the moment. Or, you can do a “1/2 and 1/2,” modifying one or the other to suit your preference. It’s win-win! I used to live in Boston and eat clam chowder on a weekly basis. 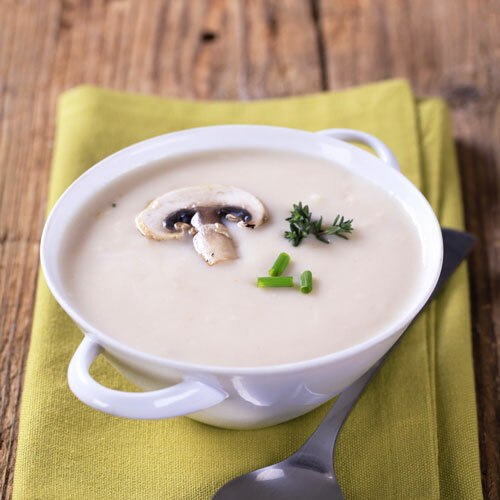 This Simple Clam Chowder recipe is from Cooking Light. If you want to cut the fat even more, use turkey bacon. For a more traditional chowder with butter and half and half, I bring you My Best Clam Chowder from allrecipes.com. 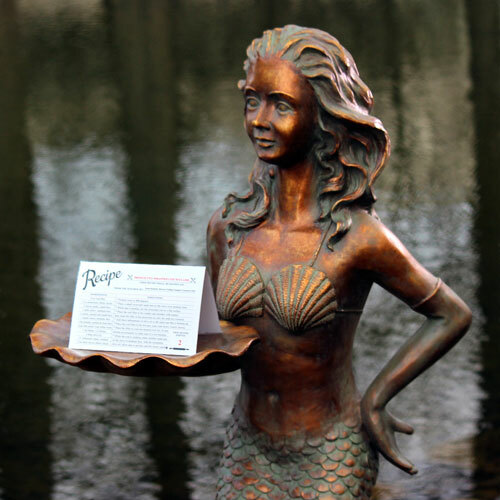 One suggestion –use clam juice instead of water to enhance the flavor. Cream of Turkey with Wild Rice is a Minnesota specialty, and these two recipes would make anyone from the Land of 10,000 Lakes proud. The first is from Eating Well and is low fat, low cholesterol and diabetes appropriate. The next, from Taste of Home, is more traditional, with heavy cream. I don’t know about you, but the cooler weather outside makes me crave earthier flavors like mushrooms. 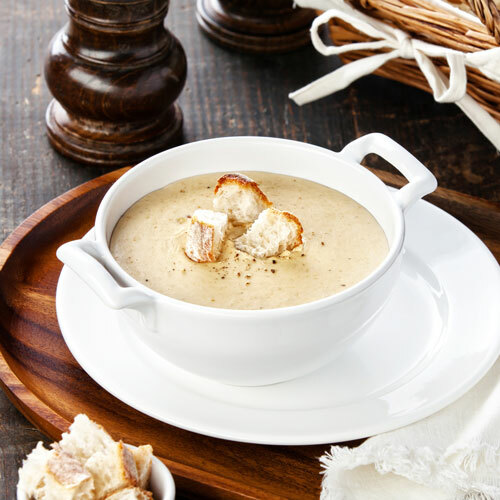 Cream of Mushroom Soup with Sherry from Cooking Light and Cream of Wild Mushroom Soup (Don’t worry; you don’t have to go out and find your own mushrooms) from the Food Network satisfy that craving. Both of these are delicious and use multiple types of mushrooms although the first includes more vegetables. 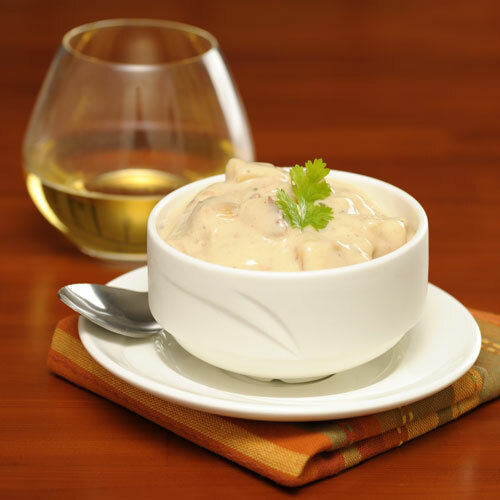 If you like experimenting, I think it would be easy to combine aspects of each for a delicious “hybrid” cream of mushroom. I know what you’re thinking: Anything with the word “cheese” can’t be healthy, right? This first soup, Broccoli-Cheese Chowder from eatingwell.com uses potatoes to add to the creamy texture and only 1 cup of low-fat cheddar cheese. In contrast, you need three cups of cheese for this Broccoli Cheese Soup recipe, featured on thepioneerwoman.com. As is, the soup is very filling, but if you want to make it lighter, try chicken broth instead of milk. The Cheddar-Ale Soup from cookwell.com got mixed reviews from people who thought it was too bland. If you make it, they recommend adding Worchester sauce and red pepper flakes and using all broth instead of water. The Cheddar Ale Soup from cabotcheese.coop looks delicious, but the recipe calls for four slices of bacon and four cups of cheese, so you need to be hungry before you sit down to a bowl. You can’t have an article about fall soup recipes without mentioning the most beloved, chicken noodle. 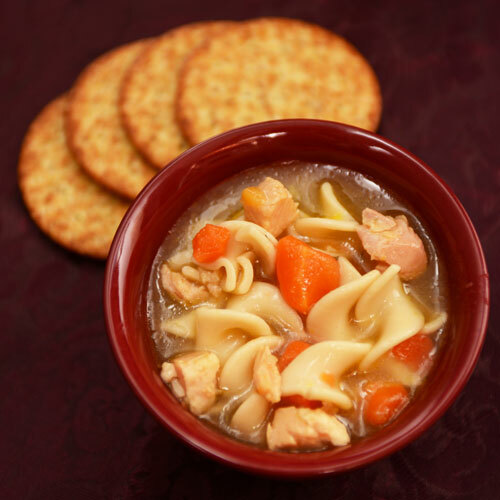 Here are two: The first Chicken Noodle Soup from Food.com is a super easy, traditional recipe. The second, Thai Chicken Noodle Soup from about.com uses a lot of Thai ingredients like lemongrass and fish sauce but is delicious, especially if you like a little your soup a little spicy. I don’t know about you, but these fall soup recipes make me think I can survive the transition from autumn to winter quite comfortably! Ready for Fall? 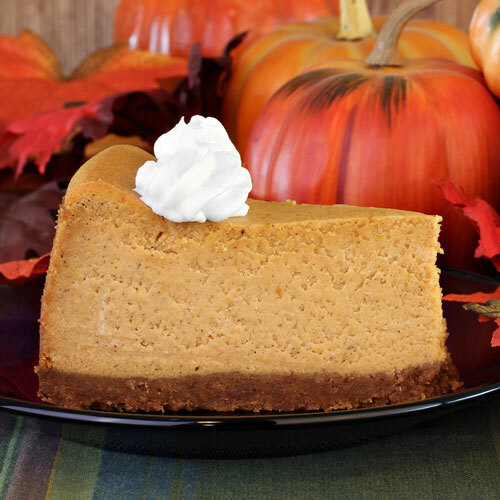 Try These Pumpkin Recipes!